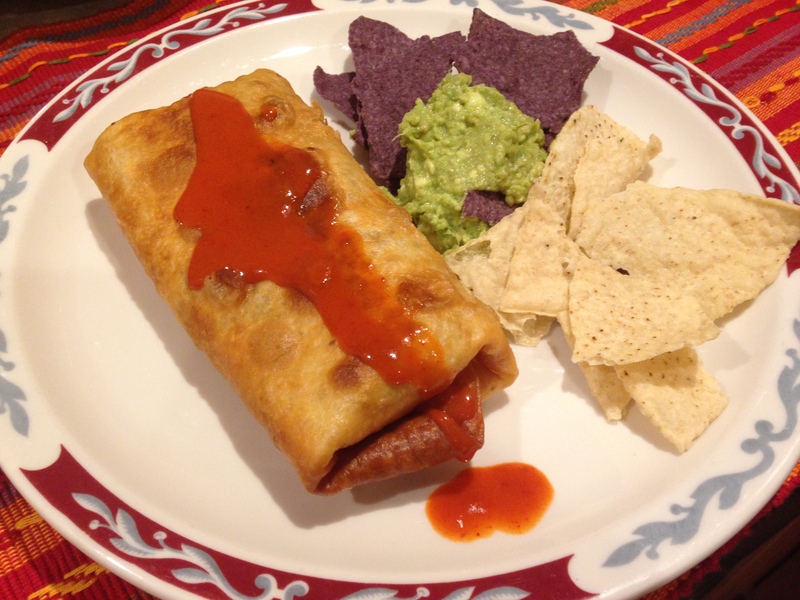 Eric suggested Chimichangas for Sunday dinner. I wanted to use something other than seasoned hamburger for the filling. I am getting bored with chicken so I opted for beef. I found a shredded beef recipe that worked perfectly. I changes it up a little bit. It really was simple and delicious. 2. In a roasting pan or dutch oven (I used dutch oven), lay onions and peppers on bottom. 4. Place meat on top of onions and peppers. Add stock/broth. 5. Cover pan/dutch oven with lid or aluminum foil. Place in oven and roast for 2-3 hours or until fork tender. 6. When done, use 2 forks to shred meat. You can take some or all of the peppers, onions and broth and mix with the shredded meat. 7. Use as filling for your chimichanga, taco, burrito, or a lettuce wrap. 2. Lay out tortilla and fill with beef and cheese. Divide ingredients evenly. 3. Roll tightly as you would a burrito. I used a slurry (1 Tablespoon cornstarch, 2 Tablespoons water) along the edge to “glue” the bottom flap of the tortilla. 5. 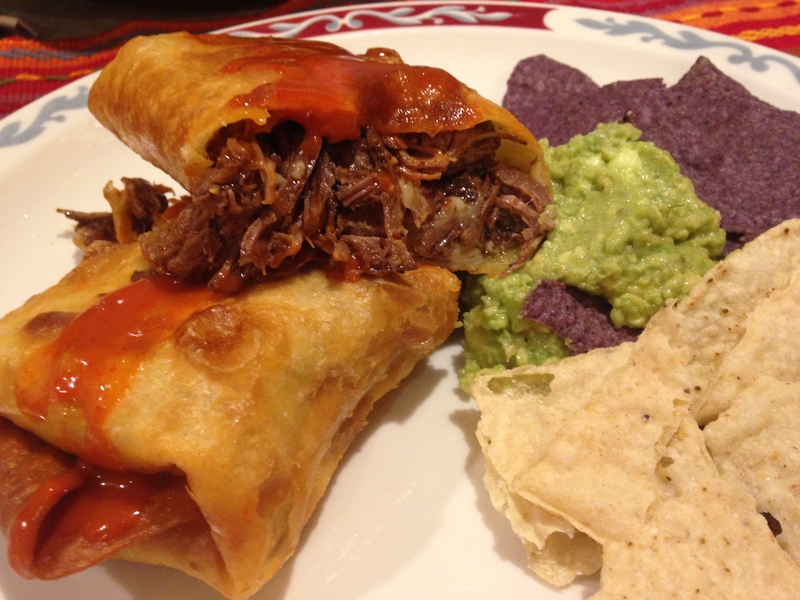 Serve with heated enchilada sauce. I LOVE pancakes. I don’t make them very often. I had buttermilk I had to use this weekend. I saw a recipe for pancakes and decided to make them. Simple and Delicious! 2. In medium bowl whisk together dry ingredients. In another medium bowl whisk together eggs and buttermilk. Drizzle in butter and whisk together. 3. Using wooden spoon make a well in middle of dry ingredients. Pour in liquid ingredients and stir together. Don’t over beat. That makes for tough pancakes not fluffy! 4. Grease the griddle. I used Pam. You can use butter if you like. Scoop 1/3 cup batter and cook until bubbles form, flip and cook until golden. 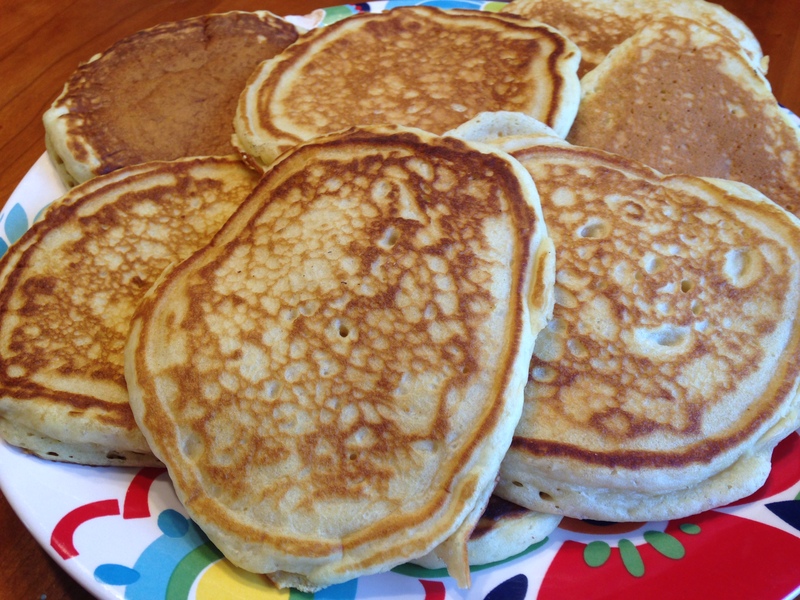 This recipe, using 1/3 cup, made 9 pancakes. Serve immediately. Since I was the only one home who enjoyed these this weekend there were leftovers. I wasn’t about to throw them out. I ended up freezing them. Eric took some home with him later in the evening. They taste delicious fresh or warmed up after being frozen. ENJOY!! Mix above ingredients together. Spread on bottom of Springform pan. You could just have the crust on bottom or spread up sides of pan. I usually do it with sides. Bake at 350 degrees for 10 minutes. Remove from oven to cool. 1. Preheat over to 325 degrees. 2. 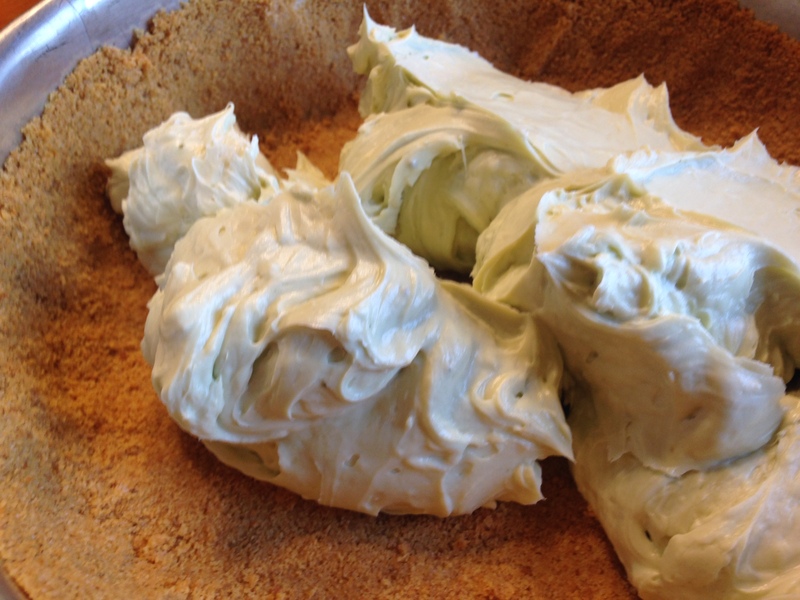 Mix the cream cheese, egg, Matcha powder, and lemon juice medium high speed until creamy. I use my stand up mixer. 3. While you are preparing the above, fill a pan with water. Put the white chocolate in a bowl. Set in simmering water and stir until melted. White chocolate will sieze. I made sure the above step was done, then melted the chocolate. 4. With mixer on low, add the chocolate, increase to medium speed and blend together. 6. Spoon batter into springform pan. As you can see it is very creamy! Spread over crust. 9. Mix sour cream and sugar together. 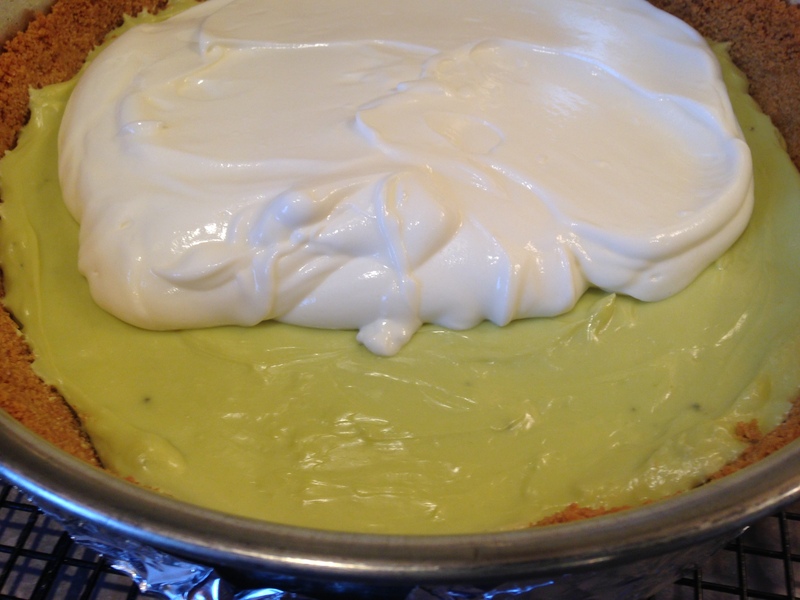 Pour mixture over cooled cheesecake. (5 minutes is enough). 10. Put back in oven and bake for 15 minutes. 12. Serve with fruit, melted chocolate – white or dark or whatever you desire. ENJOY!! I wrote this post one year ago, 2014. I don’t want to remove what I wrote a year ago because my blog is for my family and our memories. However, I made hash today and it is as good today as last year. You have to make this. Happy St. Patrick’s Day!! 03/17/2014; Martin2 and I went out to breakfast Saturday. We went to The Mustard Seed Cafe. They have great food there! They had homemade corned beef hash on their menu and I decided to order it. I had Martin taste it to see what he would think. He thought it was delish! He is quite the foodie and gives me his honest opinion about whatever he tries that I make. 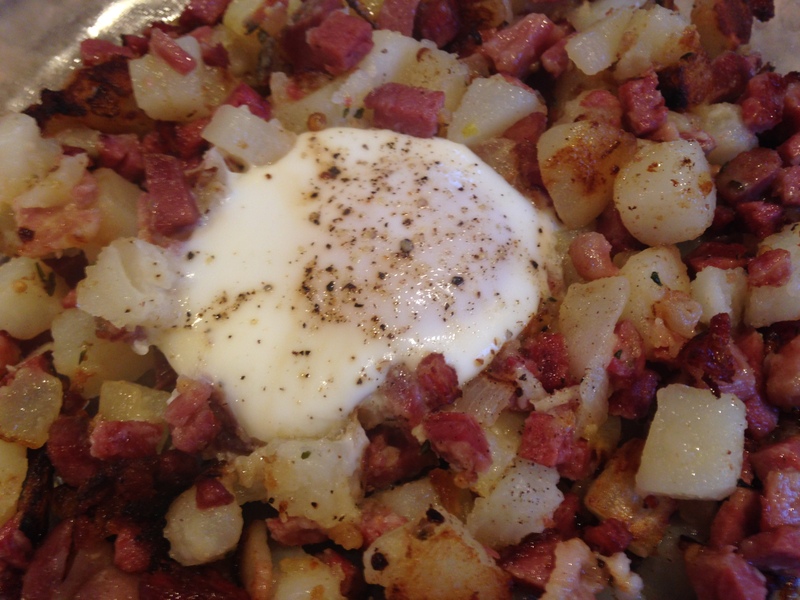 I decided I would make corned beef hash for Sunday breakfast. Kent has always enjoyed homemade hash. Why not? St. Patrick’s weekend. I knew Eric and Martin2 would enjoy some also. I also wanted to see if my hash would turn out as delicious as The Mustard Seed. Eric wants me to make more so he can bring some home. Oh, and Martin2 thought it was “amazing”. 1. Bring potatoes, 5 cups water and 1/2 teaspoon salt to boil in medium saucepan over medium high heat. Once boiling, cook potatoes for 4 minutes, then drain and set potatoes aside. 2. 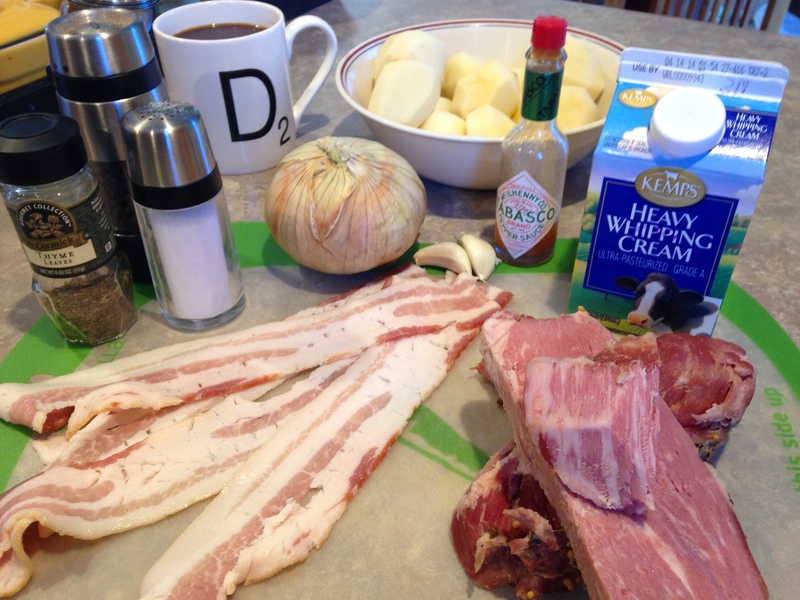 Cook bacon in 12-inch nonstick skillet over medium-high heat for 2 minutes. Add onion and cook until browned, about 8 minutes. 3. Add garlic and thyme and cook for 30 seconds. 4. 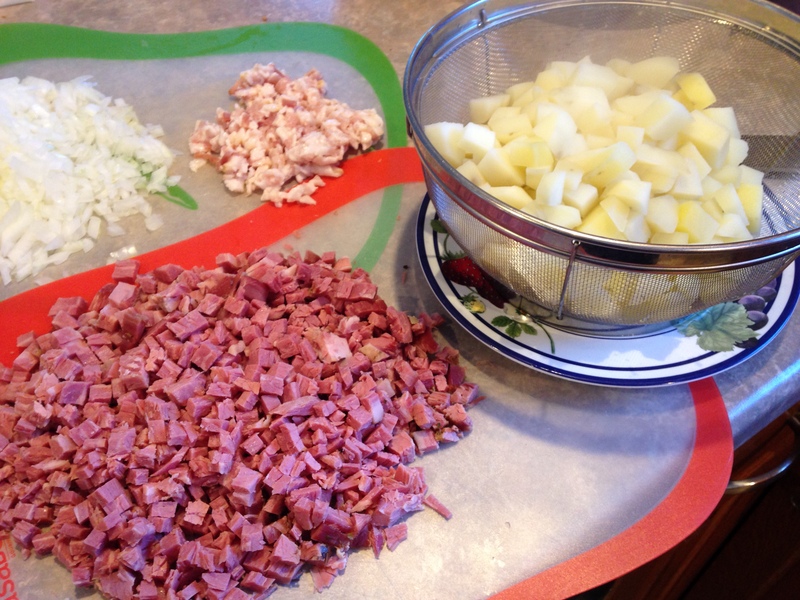 Stir in corned beef. 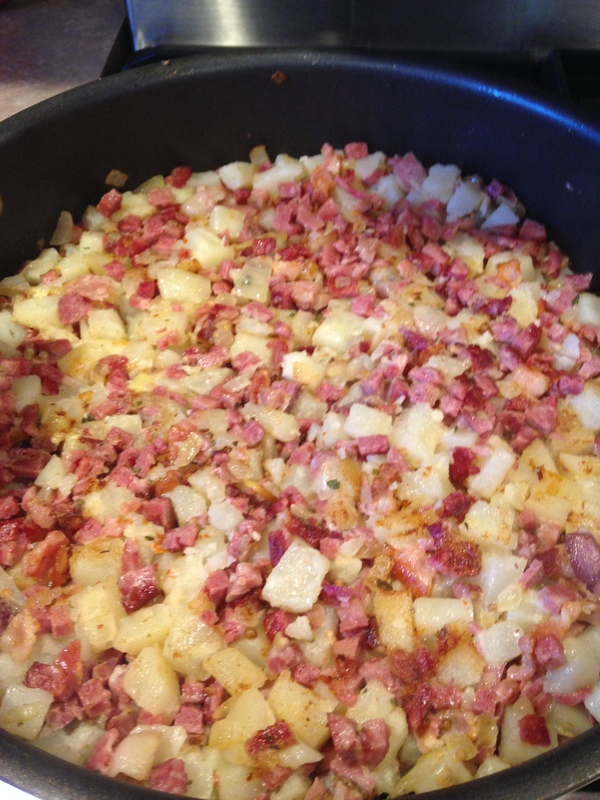 Mix in potatoes and lightly pack mixture with spatula. Reduce heat to medium and pour heavy cream and Tabasco sauce evenly over hash. Cook undisturbed for 4 minutes, then, with spatula, invert hash, one portion at a time, and fold browned bits back into hash. Lightly pack hash into pan. Repeat process every minute or two until potatoes are cooked, about 8 minutes longer. 5. Make 4 indentations (I only did 2 as I used the rest of the hash to have for left overs and share with Eric and Martin2). Crack one egg in each indentaion, sprinkle with salt and ground pepper. Reduce heat to medium low, cover pan and cook until eggs are set, about 6 minutes. Kent loved this recipe and is looking forward to this coming weekend. There was nothing he would want me to change. Glad I bought an extra point cut brisket to make more hash!! Eric will be able to bring some home and maybe Martin2 will want some more too. AND, this was SIMPLE and DELICIOUS! 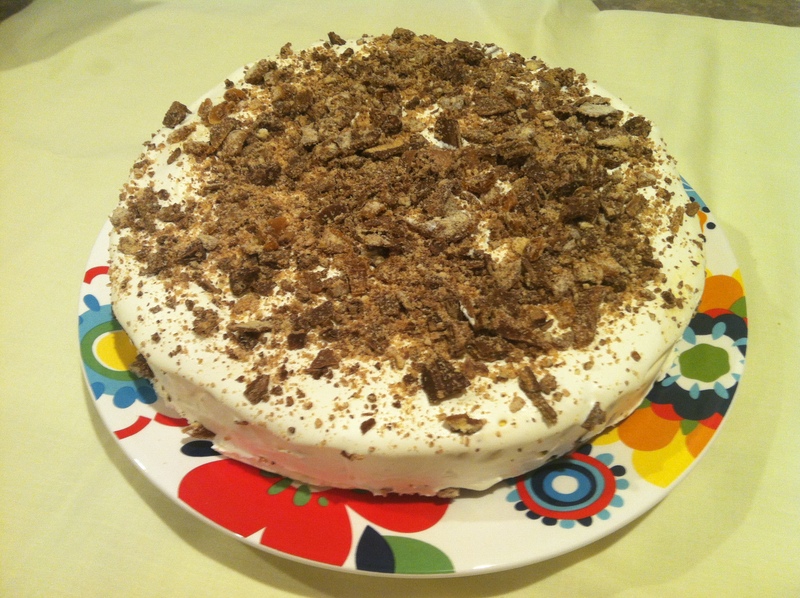 Ice Cream Cakes are so easy to make. I used to buy them at Dairy Queen or Cold Stone Creamery. When I discovered I could make these cakes taste even better than an ice cream place, that made us a happier family. 🙂 I would recommend making the cake the night before you need it. I use a springform pan. You could also use an 8×8 cake pan. What kind of crust do you want? Most like the Oreo crust. You can use any cookie you want but I will give you the Oreo recipe. To start; put your ice cream in the refrigerator to soften while you are preparing the crumb mixture. Crush your choice of cookie in a food processor or whatever way you choose. In a medium sized bowl mix the cookie crumbs and melted butter. Put the crumb mixture in the bottom of the pan you will be using. Put in the freezer to set while you are preparing the ice cream. 1/2 gallon of ice cream of your choice. We love Haagen Dazs Vanilla Ice Cream. You mix the ice cream until it is softened. Take the crumb mixture out of freezer. Spoon the softened ice cream over the the crumb mixture. If you crushed Oreos, put on top of the ice cream. 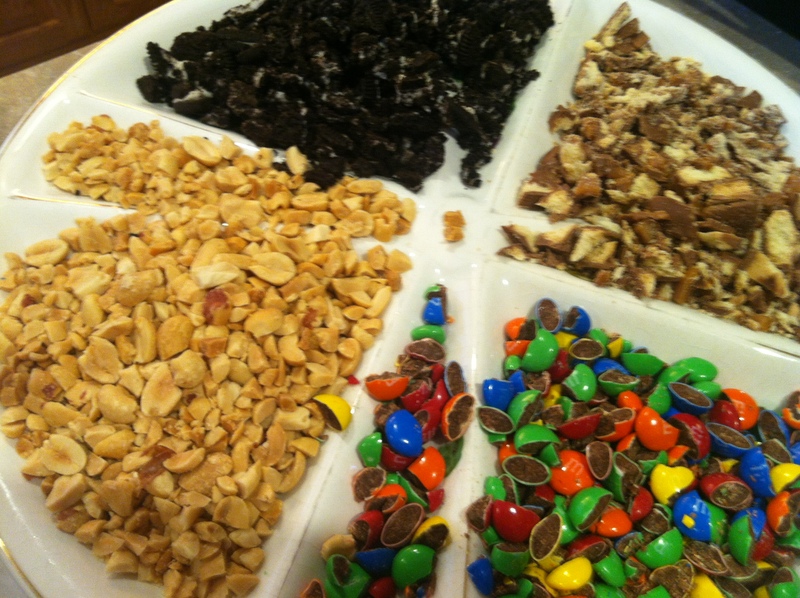 You can use whatever topping you like; crushed nuts, M&M’s or any type of candy. After you do above, wrap the springform pan (or whatever you use) in aluminum foil. Place in freezer overnight or for 4-6 hours. 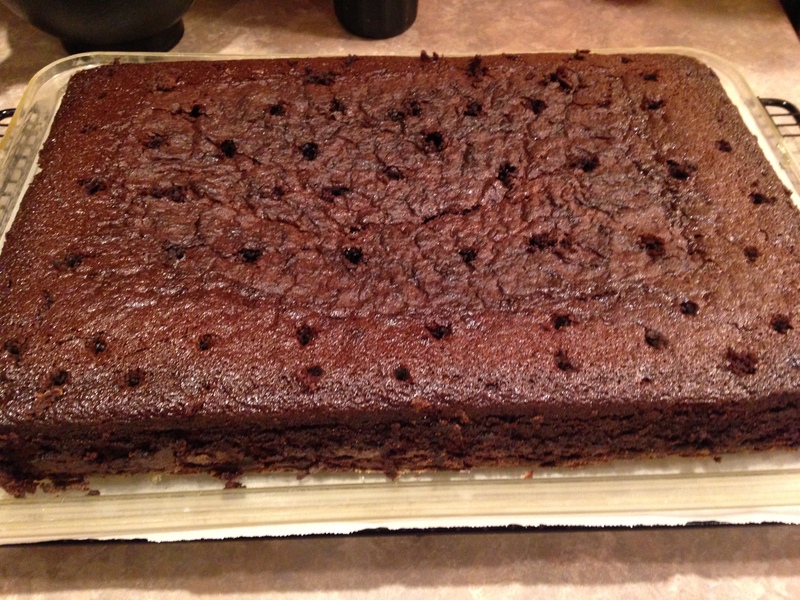 When you take out of freezer, take a knife and go around the cake so you can remove the Springform easier. Personally, I have not made this in a cake pan. I have always used my Springform cake pan. Frost your ice cream cake. Cover again with aluminum foil and put back in freezer for 1-2 hours. 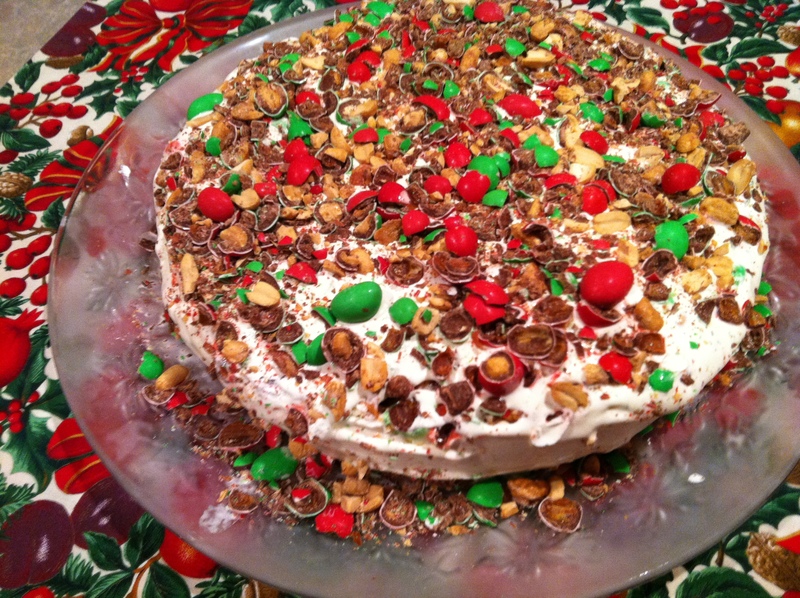 After I frosted the cake I put another layer of peanut M&M’s on top. It takes time to make this but it doesn’t take long to prepare it. Waiting for it in the freezer is what takes time. Really, this is simple and delicious! 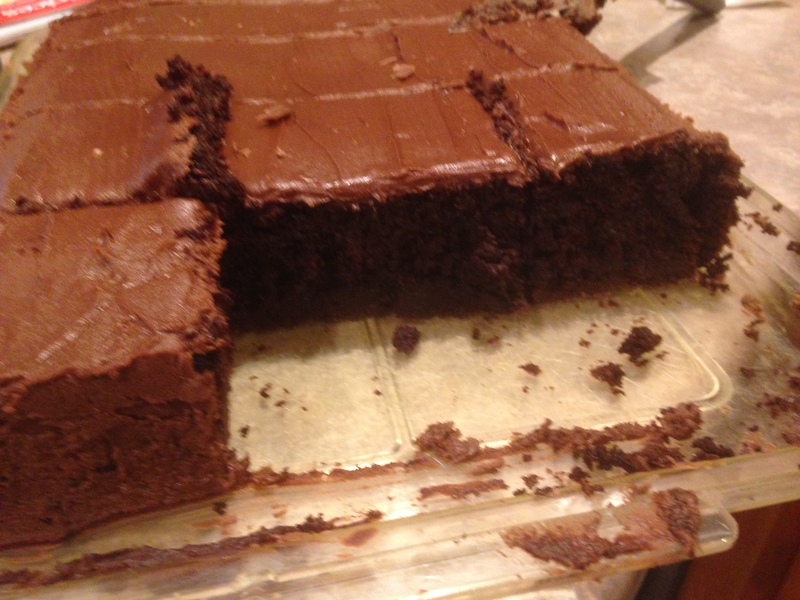 Made the Very Chocolaty Brownies and Chocolate Cake recipes posted on my blog. Spread out the Brownie batter on bottom of pan. 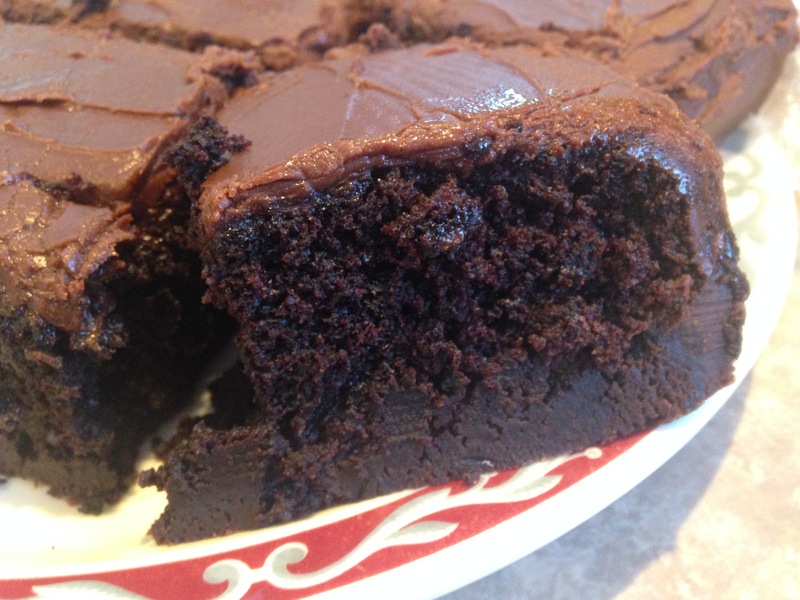 Topped with Chocolate Cake batter. Baked for 50 minutes. I use my stand up mixer to blend together. This may not be simple but it sure was delicious. Happy Birthday Eric! Love you very much! !